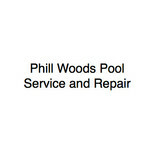 Pool service and repair in the Sacramento, CA area. Spa & pool maintenance company serving the Yuba City area. Best Pool Supply has over 40 years experience serving the public. We offer a wide variety of services and products for all pool related needs which includes a full line of chemicals, parts & equipment. 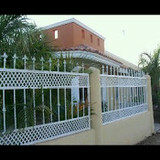 Our team is comprised of a highly trained staff with each of us having over 30 years experience. Our crew is courteous and respectful, our goal is to make sure your pool is clean and healthy all year long to allow you to enjoy your swimming pool as much and as often as you like. We are happy to offer information and advice on how to best keep your swimming pool clean and safe at all times. At Best Pool Supply Inc., we believe that our work is only as good as our customers' satisfaction. We go above and beyond to keep up to date on new & upcoming products. We believe that it is this commitment to our customers that has allowed us to grow and become the number one pool supply company in Sacramento. Best Pool Supply treats its customers like family. Your satisfaction is guaranteed, so come in and see us. We look forward to hearing from you. 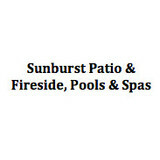 We are the exclusive Northern California Dealer of Hydropool swim spas, hottunbs and LaZboy hottubs. We are also a service and repair for all portable spas and swim spas for over 40 years. We also sell refurbished spas. What should I look for when hiring a pool cleaning service in Pilot Hill, CA? Pools and hot tubs are big investments, so you’ll want to make sure to protect them by hiring an expert who cares about them just as much as you do. Check that the Pilot Hill swimming pool maintenance service you are interested in actually specializes in the type of pool you have — chlorine and salt water pools have very different needs, and in-ground versus above-ground pools will require different upkeep and repair methods. Also, know who will be doing the repair or service; if it’s one of the larger swimming pool services in Pilot Hill, CA, request that you get same person every time, otherwise you could get inconsistency in treatments. Good Pilot Hill pool professionals will keep a consistent schedule and log everything they do so that it can be referenced in the event that you switch companies or something does go wrong. Like any other professional, look for local pool cleaning companies near you with plenty of good reviews and relevant experience. 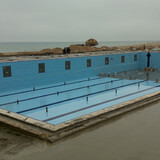 Find a Pilot Hill, CA swimming pool repair and maintenance specialist on Houzz. Narrow your search in the Professionals section of the website to spa and pool maintenance companies in Pilot Hill, CA and read reviews and ratings for pros in your area.